Client: Croatian Telekom, part of Deutsche Telekom, is the largest telecom in Croatia with 2.5 mil mobile subscribers. The collaboration with UX Passion has been pleasant both on a professional as well as on a personal level. Darko as a team lead and the rest of the team communicated with us very proactively throughout the whole study and with part of their staff being native English speakers, the reports were a pleasure to read. 1) The challenge was to kick-start an attempt to reinvent Croatian Telekom’s internal processes and products from the UX point of view, while at the same time bridging a gap in the UX knowledge of its employees. We achieved this through a series of education and management consulting sessions. 2) We were asked to conduct usability testing for Croatian subsidiaries of Deutsche Telekom as a part of coordinated worldwide drive to improve their website’s usability and appeal. We teamed up with DT expert teams and learnt their in-house methodology for user testing and reporting, figured out the way to exploit our rich experience in the field of telecommunications and deliver results. 3) With more and more businesses considering using the cloud as a platform for delivering data storage and productivity solutions, Telekom is no different. We were asked to help envision and create state-of-the-art proof-of-concept solutions that would include services like virtual workstations, an applications store, data storage and other related services. Given the complex nature of the projects we’ve been working on, we are sharing key elements of the solution for each of the projects we’ve been working on. 1) Coming from fields such as product design, marketing and development, most of the Telekom staff could identify the problems, but as they lacked a working knowledge of UX principles they could not solve them. In two one-week training sessions they learned the theoretical part of the UX (usability, user-centred design, personas, information architecture, user testing, contextual inquiry, etc.) and then, in a workshop they applied their knowledge to the products that they work with every day. 2) Using Telekom’s own in-house methodology we undertook a series of tests on various parts of their websites while recruiting over 120 users for the occasion, gathering a lot of qualitative data through interviews, video recordings and monitoring of user behaviour. Later analysis and presentation of this data clearly exposed the most problematic areas of their site, as well as the most user friendly sections. 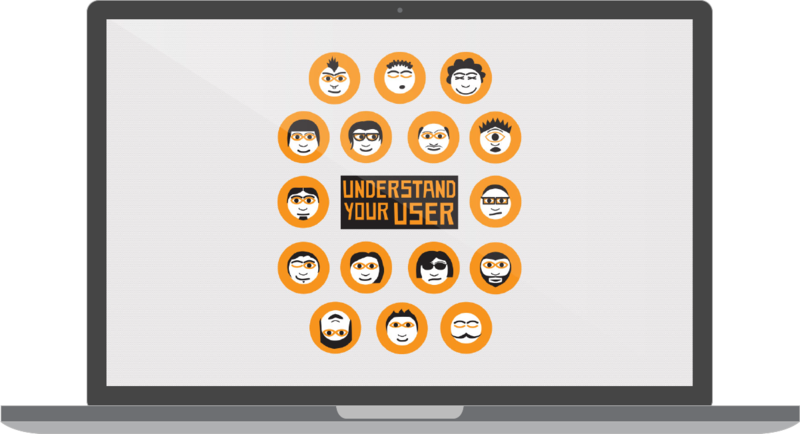 3) We conducted numerous interviews with stakeholders, created personas and use cases and identified typical user flows. In the first phase our main effort was to drive product conceptualisation, working with the client’s in-house teams – mostly developers and infrastructure engineers – to learn more about the technical feasibility of the proposed concepts and solutions. 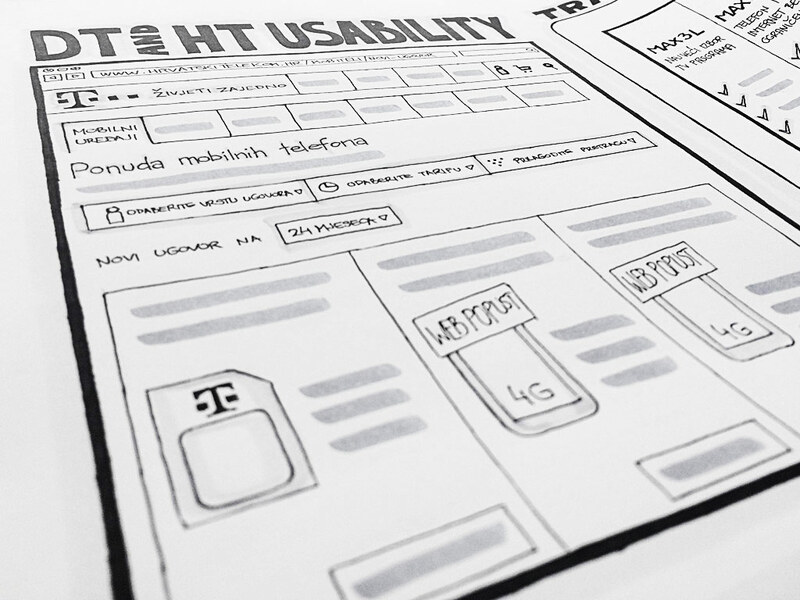 After the wireframing process, which for us is a crucial element of project development which provides de facto functional specifications, we created a set of concepts and high fidelity prototypes including a complete visual design aligned with Telekom’s branding guidelines, and new user interface elements to extend and enrich the cloud-based user experience delivered through any device and any platform. Generally speaking all three key undertakings were successes. The first one, related to education and consulting, showed us during the training sessions that most of the attendees already understood the basic UX principles and were able to identify a number of cases in their workplace that could be improved. Of course, one week of training does not make a UX expert, but it sets the foundation for exploring this field further. 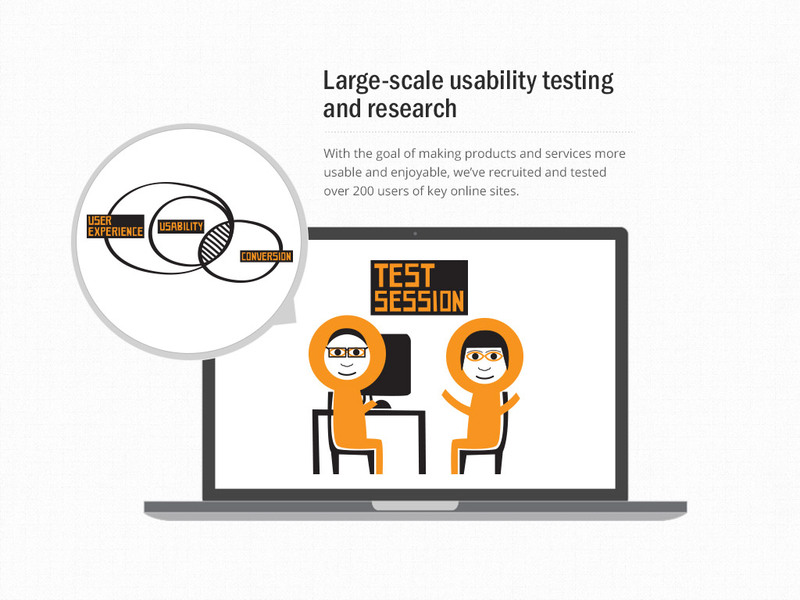 Large-scale usability studies we’ve been conducting for years have been a challenge on their own. It took almost two months of research per year for the past several years to create the best strategies for elimination of user “pain points” on the T-HT web, which we later distilled into an actionable set of solutions to be used by local teams and rapidly improve user experience. Deutsche Telekom as well as Croatian Telekom have both evaluated our action plans and are using them within their broader corporate user and customer satisfaction strategies. And lastly, cloud-based proof of concept research and ideation concepts have been used to fuel the next wave of cloud innovation and service and user experience delivery for T-HT and Combis. This offering is now fully functional and available on the Croatian market with a number of different services. Due to the non-disclosure agreements in place, we are not able to disclose more about future or full-scale plans inspired by our collaboration and proof-of-concepts. You’ve got to see selection of some of our works. You’ve seen some of our clients and you’ve got an idea about our design process. There’s so much more behind the curtains we’d love to show you but we are limited as we have to respect our non-disclosure agreements. But our knowledge, skills and professionalism are available here and now. For you. For your next big thing. So, don’t wait, let us create together!